Jason was born at Good Samaritan hospital in Downers Grove Illinois, raised in Lisle, and attended Naperville schools. He briefly participated in scouting, soccer, and band, but primarily focused on baseball, weightlifting and football growing up. Jason practiced his genuine faith at St Joan of Arc Catholic Church in Lisle. He attended Naperville North High School with honors and was voted captain of the varsity football team his senior year. Jason attended the University of Illinois Champaign-Urbana as Finance major in the Agriculture School with a 3.4 GPA. Jason was a proud member and brother of the Acacia fraternity at the university. The summer of 2016, he completed his internship as a growing cost intern at Van Drunen Farms in Monee, Illinois. Jason passed away in a traffic accident on his way to the second to last day of his internship to attend a sponsored leadership conference. The day before, he presented his summary analysis of his internship project to executive management which drew great reviews. Jason, throughout his life, was described by his teachers, friends, co-workers, coaches and family as an exceptionally fun loving, loyal, dependable, competitive, dedicated, caring, humble and kind individual. He was also known to be quiet, but not shy. 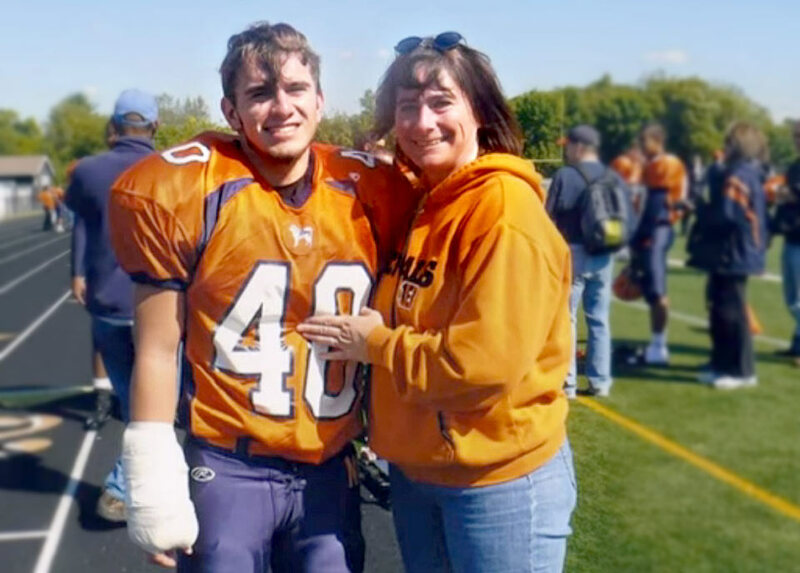 He truly loved the camaraderie of his high school friends, Acacia fraternity brothers, and was always willing to help them with anything at any time. He loved people with character, and those that were characters. He was also described as the guy you would go to for advice and get what you needed to hear, rather than what you wanted to hear. This fit the common awareness of Jason’s of honesty, sensibility, confident faith and solid moral compass. Jason’s additional passions included enjoying his mother’s cooking, fishing, golf, country and rock music (Eric Church, Zac Brown, and Tom Petty as favorites), and wildly supporting the Chicago Cubs, Chicago Blackhawks, and Miami Dolphins. Jason also loved spending time at the family condo on Lake Delavan with friends and family. He loved being on the water, driving the boat, listening to his favorite music, and swimming in the lake off the back of the boat, as well as a boat stop for a beverage, burger, and bags game with friends and family at the Inn Between on Delavan Lake. Jason loved fresh and saltwater fishing throughout his life, and has fished with family and friends in Mexico, Canada, Alaska, British and US Virgin Islands, and Florida. His favorite event was an annual fishing tournament with the Miami Dolphins Football team every spring for over 12 years in Miami, with his father, grandfather, and various family and friends. Fresh grilled Mahi sandwiches or tacos were his favorite, along with walleye “shore lunch” he enjoyed on Canadian fishing trips. Jason loved his family, friends, faith and country. He was patriotic and always offered to help anyone in need, but in a very low key style. Jason was always quietly confident and cool, but never ever looked to be the center of attention and particularly did not like the spotlight directed at him. He genuinely and significantly touched many lives before his death, and continues to touch many more after. The intent of the Jason D Sinnick Foundation 40 is to continue to have Jason impact and further touch many more lives in name, spirit, activity and actions.